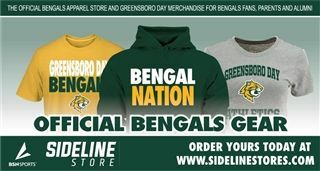 Show your Bengal spirit! Visit our online bookstore for apparel and accessories! Follow the link to information regarding the upcoming Spring season. Track/Field MS Co-ed vs Cornerstone Acd.